Adding to its rapidly-growing lineup of smart home products, GE pulled the curtain back on a handful connected LED light bulbs today. The bulbs, dubbed ‘Link’ lights, will allow users to remotely control the lighting in their homes from practically anywhere in the world, so long as they’ve got an internet connection. 60-watt replacement soft white (2700K) LED bulb, or A19 shape, which is commonly used for general lighting in table and floor lamps. Indoor soft white (2700K) floodlight LED, or BR30 shape, which is typically installed as downlighting in recessed ceiling or wall fixtures in the dining room, living room or other entertainment spaces. Indoor/outdoor-rated bright white (3000K) spotlight LED, or PAR 38, that’s generally used for outdoor security or as a spotlight. Furthermore, since all these bulbs are from GE, users will be able to access and control them via the Wink app. This means that not only will it be possible to control your lights from afar, but also link your lights to other smart home gizmos you might have lying around. You could, for example, have your lights automatically flip on when your Spotter sensor detects that it’s getting dark, or even have the lights dim when you turn on music. 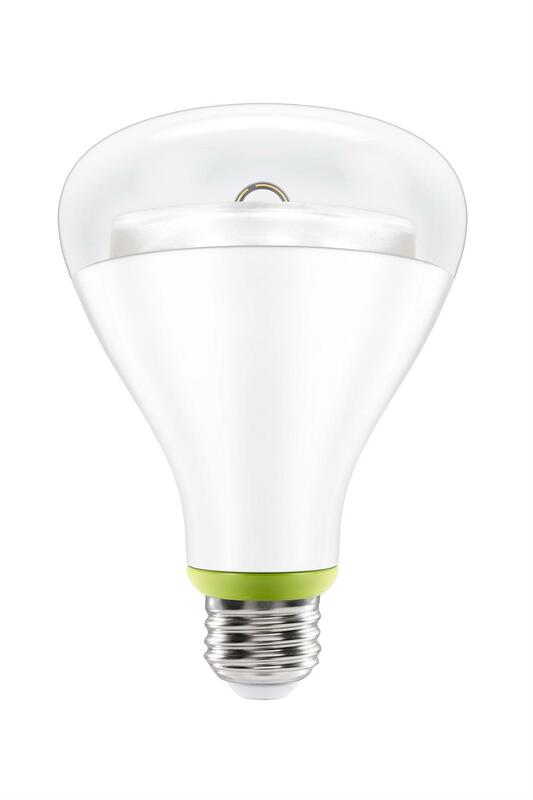 This broad compatibility with other GE devices is essentially what will set Link bulbs apart from other smart bulbs offered by big-name competitors like Philips, Samsung, and LG — all of which have connected bulbs of their own on shelves already. GE’s new bulbs will start at just $15 bucks, which is a steal when you consider how long-lasting they are.